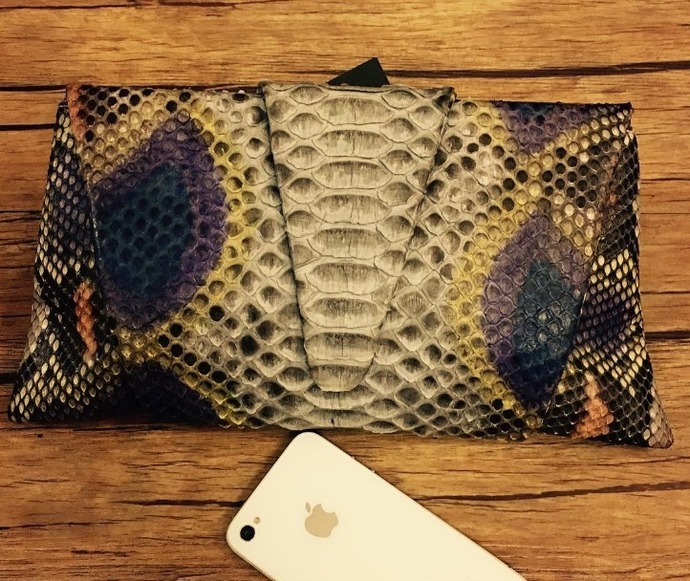 Handmade elegant python clutch on chain and magnetic closure. Size: L=26cm (10.2"), H=15cm (6"), W=3cm (1.2"). Inside has 1 Long Zippered Slot.